Hello! My name's Amy, I'm 30 years old and I live in Winchester (Hampshire). I have suffered from this horrid illness M.E. for just over a decade and am mostly housebound and often bed bound. Every year I try and do something in my own little way to raise funds for charity, but when you have severe M.E. you are quite limited in what you can do! In the past I've done a sponsored silence and sponsored screen free weekend, as well as giving up Birthday and Christmas money to raise awareness and money for M.E. However, each time that I do, I am very aware that it is only those in the M.E. community or their immediate friends and family who donate. Very rarely does the news travel to the general public. 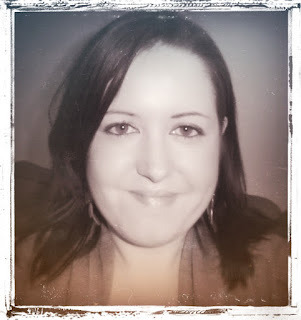 I realised it was going to take something a bit bigger to do this and given that my body wont allow me to bungee jump or parachute jump... sadly, I have made the bold or should I say bald decision to shave my hair off to raise money for charity!! Very drastic I know, especially as a female, however I hope this small sacrifice will show my dedication to the causes I hold dear, as well as the desperate longing to see my friends and myself recover from this horrific illness that is destroying our lives. 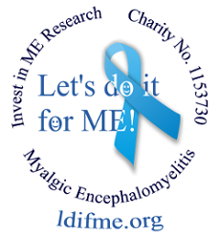 Invest in ME are a great charity desperately fund-raising to put money into bio-medical research as well as planning to start the first M.E. bio-medical treatment centre in the U.K. The 25% M.E. Group are a support group for severe M.E. sufferers. Their advocacy service have given me incredible support and practical advice over this past year. My advocate has been my rock during desperate times. However sadly she is just one person and has a long waiting list. Raising more funds would allow the charity to expand the service. So I have decided to give you the option of choosing who you would like to donate to. 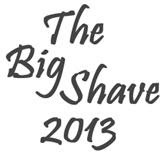 The 'The Big Shave' will take place during M.E. awareness week 6th-12th May 2013. I have been told it will take 2-3 years at least, for my hair to grow back! so it really is a sacrifice for me, but a totally worthy cause! Thank you so much for coming to this site and finding out more. If you are able to donate it really will make a difference. Amy is being incredibly brave in what she called a ''small sacrifice'' GULP ! !